Custom travel plans with lodges, tours, activities and rental car or shuttles. All positive reviews and A+ rating from the Better Business Bureau, 98% excellent on TripAdvisor, registered in good standing with the Costa Rican Tourism Bureau (ICT) and CANTUR. Request your no obligation itinerary now. Order yours now! and help us keep the best job in the world traveling around Costa Rica every year updating roads, lodges, and restaurants. We like to think this website is a bit like scattering some of our photos on a table then telling you about that trip. We try to include captions and descriptions so with every picture you’ll hear a story. 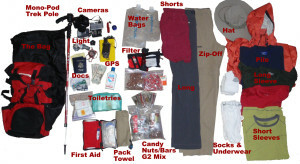 One of our most popular pages is the annotated packing list that not only suggests what to bring but tells you why. If you’re traveling light we recommend the 25 lb. carry-on only version of the list & there are specialized lists for camping, photographers, bicycling and other recommendations. Thinking about rainy season? crowds? low season discounts? Because of regional micro-climates and vacation schedules it’s sort of possible to “time travel” – where you are changes when you are there. The right destinations can put you in solid sunshine during the rainy season or provide solitude in high season. – Enter your data in the “Time Machine” and we’ll process it to find your best time to travel or the best places to go when you have vacation time. 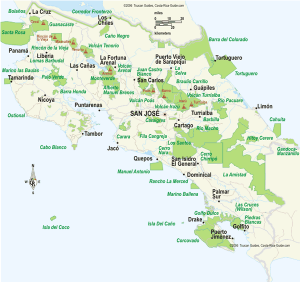 Costa Rica’s National Parks, Wildlife Refuges and Biological Reserves protect some of the most endangered and unique ecozones in the world. Visiting the 100+ public and private protected areas to bring you photos, descriptions and logistical information about hours, permits and hiking trails is the best part of our jobs. 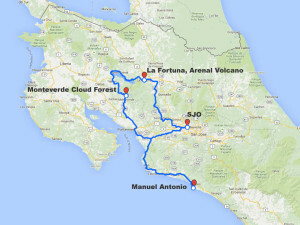 Some of our favorites are Carara, Poás, Rincon de la Vieja, Arenal, Tortuguero, Monteverde, Chirripó, and Corcovado – click the map to find the ones that fit into your Costa Rica vacation. 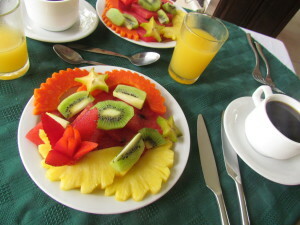 Costa Rican culinary traditions include Bocas which are small snacks served with drinks and casual “tipico menu” restaurants called Sodas. A simple recipe of beans and rice called Gallo Pinto is Costa Rica’s national dish but seafood, tropical fruit, chocolate and of course coffee are specialties too. In 1993 we honeymooned in Costa Rica on touring bicycles and fell in love. In more than two decades of travel since then we’ve seen most of Costa Rica, lived some incredible experiences, accumulated vast amounts of information and beautiful photographs and we’ve always shared everything for free on this website. We’ve answered over 30,000 e-mails since we first posted a bicycle travelog in the early nineties (they hadn’t invented “blogs” yet…) so don’t be shy. If you need advice or want travel planning assistance put your question or travel request in the form and hit submit. 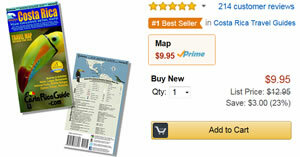 If you think Costa Rica Guide is helpful you can make a huge difference for us by mentioning it to your friends. 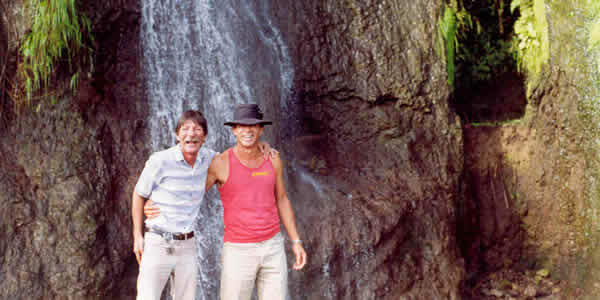 This website is dedicated to the loving memory of Joseph “Quincho” Rodriguez – the original Costa Rica Guide – and the whole Rodriguez family who made us welcome in our home away from home.